Apple co-founder Steve Wozniak is shutting down his Facebook account as the social media giant struggles to cope with the worst privacy crisis in its history. 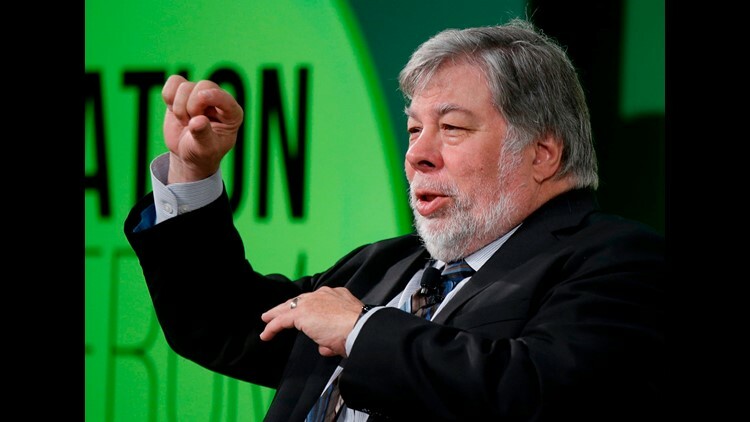 SAN FRANCISCO (AP) — Apple co-founder Steve Wozniak is shutting down his Facebook account as the social media giant struggles to cope with the worst privacy crisis in its history. In an email to USA Today, Wozniak says Facebook makes a lot of advertising money from personal details provided by users. He says the "profits are all based on the user's info, but the users get none of the profits back." Wozniak says he'd rather pay for Facebook. He says "Apple makes money off of good products, not off of you." Facebook CEO Mark Zuckerberg will testify on Capitol Hill on Tuesday and Wednesday about the company's ongoing data-privacy scandal and how it failed to guard against other abuses of its service. Facebook has announced technical changes intended to address privacy issues.